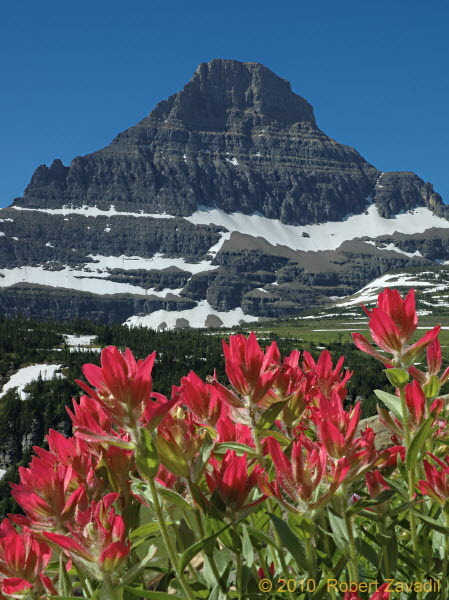 Mount Reynolds, a prominent peak near Logan Pass, was formed by glacial erosion in the same manner as the Matterhorn in the Alps. Here it is seen with brilliant Indian Paintbrush in the foreground. Indian Paintbrush is a very common wildflower in Glacier National Park and can be seen along many roadsides.